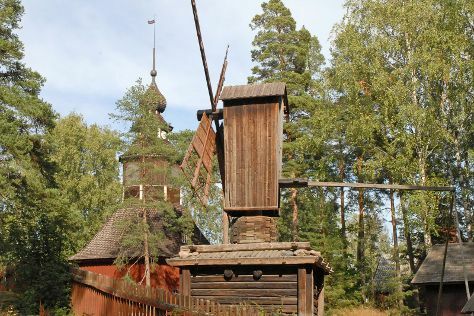 Visit Seurasaari Island and Open-Air Museum and Rock Church for their historical value. Discover out-of-the-way places like Nuuksio National Park and Sipoonkorven Kansallispuisto. Venture out of the city with trips to Espoo (Arctic Expedition & Kaitalampi). The adventure continues: learn about all things military at Sea Fortress Suomenlinna, step off the mainland to explore Pihlajasaari Recreational Park, get to know the fascinating history of The Esplanadi Park, and take in the architecture and atmosphere at Helsinki Cathedral. To see photos, maps, other places to visit, and more tourist information, go to the Helsinki journey maker site . Rome, Italy to Helsinki is an approximately 7-hour flight. You can also drive; or take a train. The time zone difference moving from Central European Time (CET) to Eastern European Time (EET) is 1 hour. Prepare for little chillier weather when traveling from Rome in July: high temperatures in Helsinki hover around 25°C and lows are around 15°C. Wrap up your sightseeing on the 30th (Tue) to allow time to travel back home.